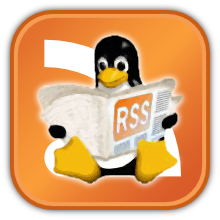 Home » BSD (Berkeley Software Distribution) , Google , Graphic Tools , Miscellaneous , Multimedia , Music , Scientific Distributions , Social Bookmarks , Software Packages » Top 10 blog posts for May 2013 from Linuxlandit & The Conqueror Penguin. 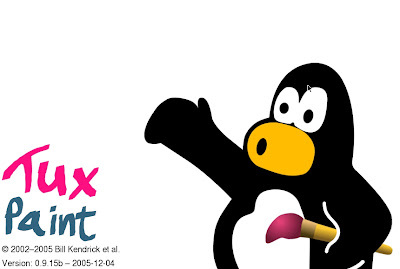 Top 10 blog posts for May 2013 from Linuxlandit & The Conqueror Penguin. 2.- FreeNAS is a tiny FreeBSD-based operating system which provides free Network-Attached Storage (NAS) services (CIFS, FTP and NFS). FreeNAS is an Open Source Storage Platform based on FreeBSD and supports sharing across Windows, Apple, and UNIX-like systems. FreeNAS8 includes ZFS, which supports high storage capacities and integrates file systems and volume management into a single piece of software. FreeNAS is a free network-attached storage server, supporting: CIFS (Samba), FTP, NFS, rsync, AFP protocols, iSCSI, S.M.A.R.T., local user authentication, and software RAID (0,1,5), with a web-based configuration interface. FreeNAS takes less than 64 MB once installed on CompactFlash, hard drive or USB flash drive. FreeNAS is currently distributed as an ISO image and in source form. Through version 7.x, it was possible to run FreeNAS from a Live CD, with the configuration files stored on an MS-DOS-formatted floppy disk or USB thumb drive. There is also a VMware disk image available. With the release of 8.x, Live CD isn't currently supported. FreeNas 8.x needs to be installed on a Compact Flash, USB, or dedicated hard drive. Using the dedicated hard drive will use that drive just for the operating system, and files cannot be stored on it. The minimal FreeBSD 7.2 distribution, web interface, PHP scripts, and documentation are based on m0n0wall. FreeNAS is released under the BSD license. It was reported December 2009 that FreeBSD based development would be halted and put into 'maintenance-only mode' with Debian Linux as the new development target OS. This decision was reverted shortly afterwards, when iXsystems offered to sponsor the further development of FreeNAS. 3.- Getting Started with Blender 3D creation for everyone, free to use for any purpose. Support for a variety of geometric primitives, including polygon meshes, fast subdivision surface modeling, Bezier curves, NURBS surfaces, metaballs, multi-res digital sculpting (including maps baking, remeshing, resymetrize, decimation..), outline font, and a new n-gon modeling system called B-mesh. Internal render engine with scanline ray tracing, indirect lighting, and ambient occlusion that can export in a wide variety of formats. ZynAddSubFX is a open source software synthesizer capable of making a countless number of instruments, from some common heard from expensive hardware to interesting sounds that you'll boost to an amazing universe of sounds. The project was started in March 2002 by Nasca Octavian Paul. He began to write ZynAddSubFX in order to create a synthesizer which could produce beautiful sounds, while being freely available to anybody who needs it. For sound generation it has three hybrid synth engines that combine additive, subtractive, Fourier and other synthesis methods. No external samples are used to produce the sound; everything is done by synthesis. The synthesizer has effects like reverberation, echo, chorus, distortion, equalization and others, and supports microtonal tunings. 5.- Social bookmarking is a method for Internet users to organize, store, manage and search for bookmarks of resources online. Most social bookmark services encourage users to organize their bookmarks with informal tags instead of the traditional browser-based system of folders, although some services feature categories/folders or a combination of folders and tags. 6.- Creating a Fancy Watch in Blender, Chapter I. 7.- 50 best examples of select your language pages. The reason, if they track your location they can know where you are and intermediately redirect you to the Chinese version of the site… three seconds later you just quit the site because you don’t like the Chinese version. But if they have givento you a Select Your Language Page, you would have made just one more click and you’d be stay much longer on that site. That’s what we all want on our site keep our visitors. The OpenBSD project produces a FREE, multi-platform 4.4BSD-based UNIX-like operating system. Our efforts emphasize portability, standardization, correctness, proactive security and integrated cryptography. OpenBSD supports binary emulation of most programs from SVR4 (Solaris), FreeBSD, Linux, BSD/OS, SunOS and HP-UX. OpenBSD is freely available from our FTP sites, and also available in an inexpensive 3-CD set. Theo de Raadt has announced the release of OpenBSD 4.8. Some of the more interesting improvements in hardware support and software updates of this release include: "ACPI-based suspend/resume works on most machines with Intel/ATI video, machines using NVIDIA graphics will not resume the graphics; OpenSSH 5.6 with many new features and bug fixes; Mandoc 1.10.5, a utility used to build all manuals in the base system and in Xenocara from mdoc and man sources; over 6,400 ports, major robustness and speed improvements in package tools; package highlights - GNOME 2.30.2, KDE 3.5.10, Xfce 4.6.2, MySQL 5.1.48, PostgreSQL 8.4.4, Postfix 2.7.1, Mozilla Firefox 3.6.8 and 3.5.11, OpenOffice.org 3.2.1, PHP 5.2.13, major components - Xenocara (based on X.Org 7.5 with X.Org Server 1.8 + patches, FreeType 2.3.12), GCC 2.95.3, 3.3.5 and 4.2.1 + patches, Perl 5.10.1, our improved and secured version of Apache 1.3, with SSL/TLS and DSO support...." See the OpenBSD 4.8 release page for more details. Download: i386/install48.iso (212MB, SHA256), amd64/install48.iso (225MB SHA256). 10.- Introduction to neural networks and neural network programming using the Encog Artificial Intelligence Framework. Introduction.This article provides a basic introduction to neural networks and neural network programming using the Encog Artificial Intelligence Framework. Encog is an AI framework that is available for both Java and Microsoft .NET. In this article, I will show you how to create and train a very basic neural network with Encog. I will likely follow this up with more omplex neural network examples in the future. However, for now, this article shows you how to get started with Encog. 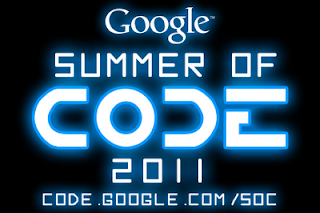 Encog is an advanced Artificial Intelligence Framework. Using Encog, you can create advanced neural network applications. Though Encog supports other aspects of Artificial Intelligence programming, this article will focus on neural network programming. Neural Network programming is the primary focus of Encog, as of version 2.3. Encog is released under the Lesser GNU Public License (LGPL). Encog can be downloaded from the following URL: http://www.heatonresearch.com/encog/. This is a simple introductory example that shows how to create a neural network that recognizes the XOR operator. The XOR operator is essentially the "Hello World" of the neural network world. It is often used to demonstrate a new neural network. Before I show you how to create a neural network in Encog, it is important to understand how a neural network works. Nearly all neural networks contain layers. A layer is a group of neurons that behave similarly. There are many different layer types used by the different types of neural networks that are supported by Encog. However, there are two very important layers that nearly every neural network will have. These are the input and output layers. The input layer is how you feed data to the neural network. The output layer is how you get the response back from the neural network.